We have over 130 amazing wedding gowns and dresses in sizes 10 - 30 in two collections and we offer to all our bride a FULL Bridal Care Service. But if you are a bride in a hurry then that's not a problem, our Love it Now collection is perfect for you, beautiful wedding dresses in a wide range of different styles and sizes that are ready to take away on the day £350-£1000. 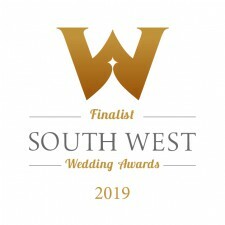 We are between the towns of Taunton and Wellington and being within 1 mile of junction 26 of the M5 we do have brides visiting us from all over the South West of England and beyond. 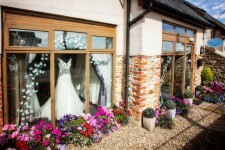 The boutique in Oake House is down a little country lane with easy, free parking right outside. And with the traditional warm feel of a barn, Abbi Chapel has carefully created a beautifully luxurious boutique but still with that easy, relaxing country feel and definitely away from the hustle and bustle of a noisy busy town. To give you the best possible service and attention we work by appointment only. Saturdays are usually boutiques busiest days and it's best to pre book a week or so in advance. However during the quieter week days we may be able to offer you any free slots we have that day, so please give us a ring. What to book an appointment? Just call us on 01823 462843 text ONLY 07730 767624 or email us on info@abbichapel.co.uk. Our bridal collection, no matter the shape and style, are elegant, timeless and classic—so you know that no matter which dress you end up choosing, you won't regret it.